We'd love to hear your feedback on this 2014 NRL Season Promo Video and please share it around if you enjoyed it. Obviously, HD vision isn't that readily available but is this the kind of thing you'd love to see more of? 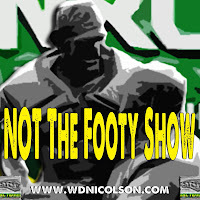 Now you can still subscribe to our NOT The Footy Show Podcast on iTunes here and although we're not sure if or when we'll be back on air again, it doesn't hurt to hope right?